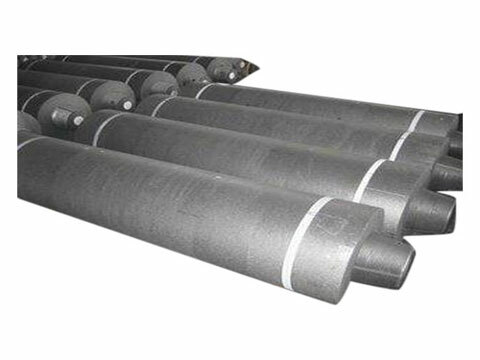 Graphite Electrodes for sale from RS Factory are a high temperature resistant graphite conductive refractory material used in the metallurgical industry. 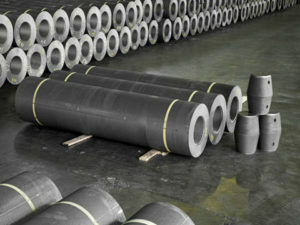 Graphite Electrode is made of petroleum coke, bituminous coke as aggregates, coal tar pitch as binders, after raw material calcination, crushing and milling, batching, kneading, molding, roasting, impregnation, graphitization and machining, which is also known as artificial graphite electrodes in order to distinguish from natural graphite electrodes made of natural graphite. 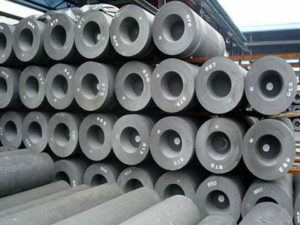 If you are looking for high quality graphite electrodes for sale, Contact us for more details. Taking petroleum coke and needle coke as raw materials, coal pitch as binder, Graphite Electrodes For Sale are made by calcination, compounding, kneading, pressing, roasting, graphitization and machining, which is a conductor that heats and melts the furnace charge in the form of an electric arc in an electric arc furnace. 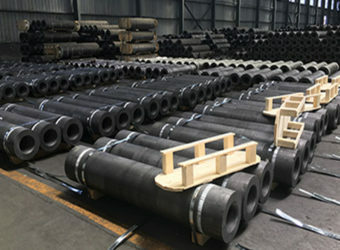 From above description, we can know that graphite electrode for sale is mainly regarding petroleum coke, needle coke, coal tar pitch as its raw materials. So I will describe them in detail. Petroleum coke is a kind of flammable solid product，which is obtained after coking by petroleum residue and petroleum asphalt. Petroleum coke can be divided into raw coke and calcined coke according to the heat treatment temperature. It also can be classified into high sulfur coke, medium sulfur coke and low sulfur coke based on the content of sulfur. Generally speaking, graphite electrode and other artifical graphite products are made of low sulfur coke. Needle coke is a high-quality coke, which has a distinct fibrous texture, a particularly low coefficient of thermal expansion, and is easily graphitized. It includes oil-based needle coke with petroleum residue as raw material and coal-based needle coke with refined coal pitch as raw material. Needle coke is the key raw material for the manufacture of high-power and ultra-high-power graphite electrodes. 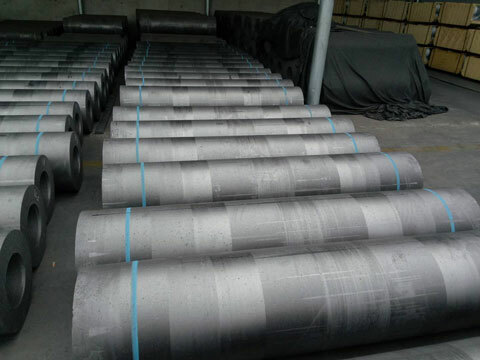 The graphite electrode made of it has low resistivity, small thermal expansion coefficient and good thermal shock resistance. Coal tar pitch is one of the main products of coal tar deep processing and is a mixture of various hydrocarbons. 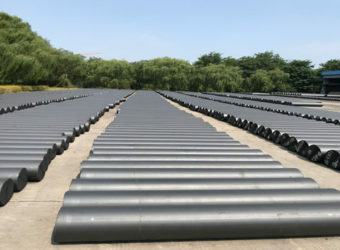 According to its softening point, it can be divided into low temperature, medium temperature and high temperature asphalt. 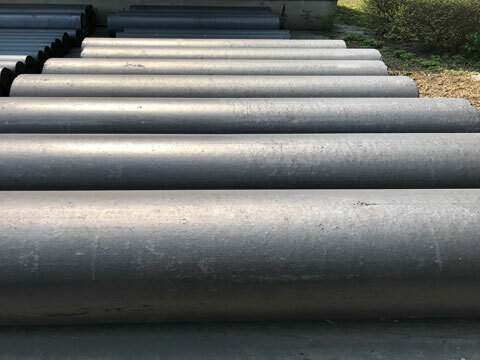 Graphite Electrodes for sale can be divided into regular power graphite electrode, high power graphite electrode and ultra high power graphite electrode based on its quality index. There are also other grades including regular power (RP), normal power (NP), and medium power or (MP). However, these grades are less commonly used. 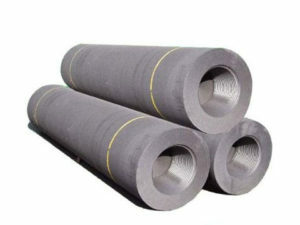 Regular power graphite electrodes(RP) are mainly used in ordinary power electric furnaces for steel making, silicon refining, and yellow phosphorus. 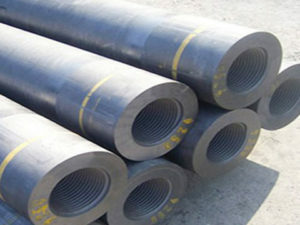 High-power graphite electrodes(HP) are primarily applied in the high-power electric arc furnaces for steel making. 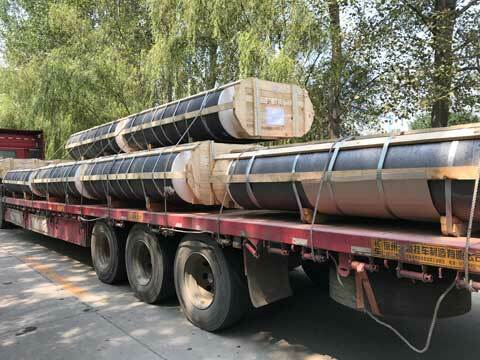 Ultra high power graphite electrodes(UHP) are mainly used in the ultra high power steelmaking electric arc furnaces. In 1810, Charcoal electrode was made from charcoal. In 1846, Stewart and Edward mixed with coke powder and sucrose, pressed and formed at a high temperature to produce another carbon electrode. In 1897, Axon of the American Emery Company produced the first batch of artificial graphite electrodes based on petroleum coke in the electric resistance furnace for producing emery. 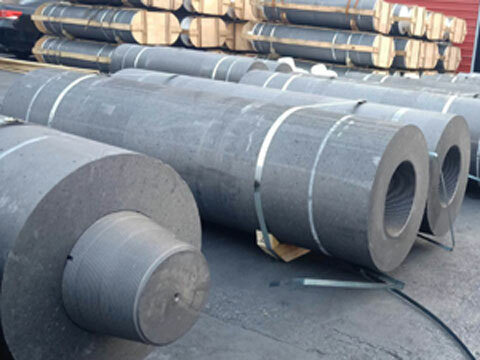 In the early 20th century, electric steelmaking mainly used carbonaceous electrodes with anthracite as raw material or natural graphite electrodes with natural stone as raw material. In the 1960s and 1970s, high-power and ultra-high-power graphite electrodes were successfully developed. 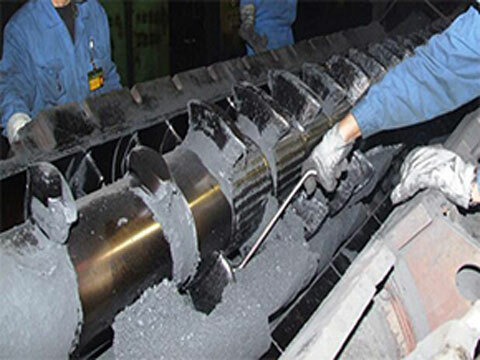 Calcination refers to a production process in which a carbonaceous raw material is heat-treated at a high temperature to discharge moisture and volatile matter contained therein, and correspondingly improve the chemical and physical properties of the raw materials. Prior to the batching, the raw materials of the calcined chunks are subjected to medium crushing, fine crushing and sieving treatment. The quality of kneading directly affects the stability of the product quality. The structure of the dry material and the binder are made uniform, and the paste is plasticized to facilitate molding. Forming contains extrusion molding, vibration molding and compression molding. Extrusion press is the most popular among them. Extrusion molding using horizontal extruder: suitable for bars, pipes or other special-shaped products with large length-to-diameter ratio. Baking is one of the main processes in the production of carbon products, and is also an important part of the three major heat treatment processes for graphite electrodes. 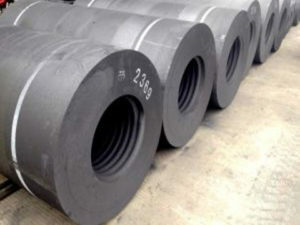 Graphite electrodes are mainly carried out in a ring calciner during the baking process. 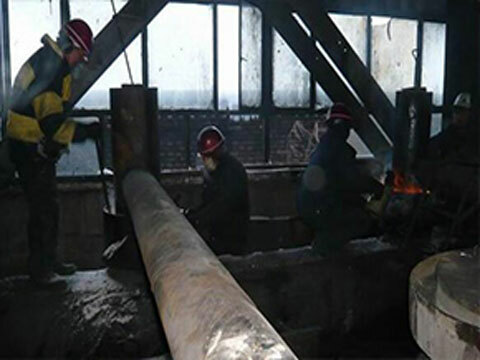 Asphalt impregnation is a process that can reduce the pore size of the product, increase the density, increase the compressive strength, reduce the resistivity of the finished product, and change the physical and chemical properties of the product. Secondary baking is also required to carbonize the pitch immersed in the calcined product after baking and immersion. Graphitization refers to a high-temperature heat treatment process in which the carbon product is heated to a temperature of more than 2330℃ in a high-temperature electric furnace to convert an amorphous layered structure carbon into a three-dimensional ordered graphite crystal structure. At present, the graphitization of carbon materials is mainly carried out by means of electric heating, and the Acheson graphitization furnace and the internal heat tandem furnace are widely used. 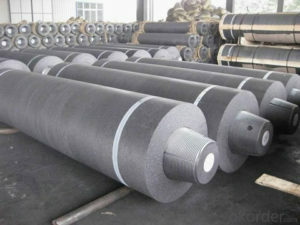 The processing of graphite electrodes for sale is divided into electrode body processing and joint processing. The electrode body includes bore and rough flat end face, outer circle and flat end face and thread milling. 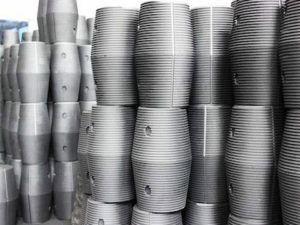 Conical joints include cut-offs, flat end faces, car cone faces, milled threads, drill bolts and grooving. 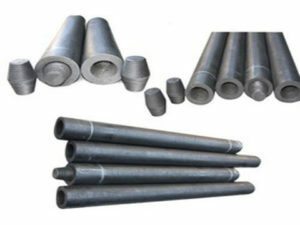 Graphite electrodes are the most widely used in electric furnace steelmaking. 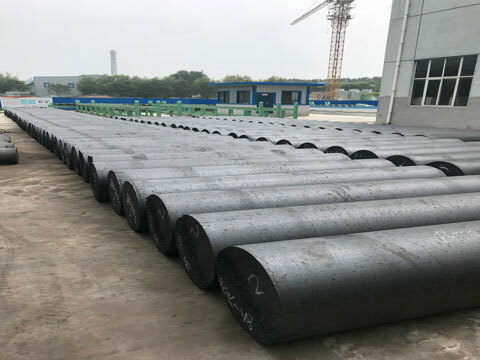 China’s electric furnace steel production accounted for about 18% of crude steel production, and the graphite electrode for steelmaking accounts for 70%-80% of the total amount of graphite electrodes. 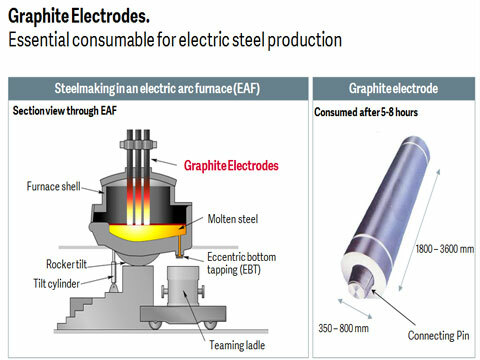 Electric furnace steelmaking uses a graphite electrode to introduce a current into the furnace and uses the high-temperature heat source generated by an arc between electrical extremes and the charge for smelting. The ore electric furnace is mainly used for the production of industrial silicon and yellow phosphorus which is characterized by the lower part of the conductive electrode buried in the charge, the formation of arc in the material layer, and the use of the heat emitted by the resistance of the charge itself to heat the charge, wherein the higher density current electric furnaces needs graphite electrodes. 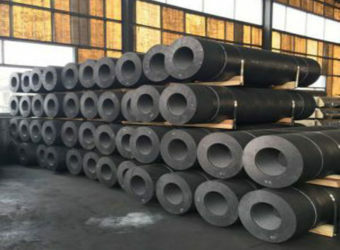 For example, about 100 kg of graphite electrode is consumed for every 1t of silicon produced, and about 40 kg of graphite electrode is consumed for each 1t of yellow phosphorus. The graphitization furnace for producing graphite products, the melting furnace for melting glass, and the electric furnace for producing silicon carbide belong to electric resistance furnaces. The materials contained in the furnace are both heating resistors and objects to be heated. 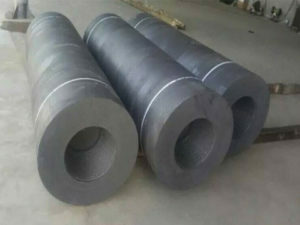 Usually, graphite electrodes for electric conduction are embedded in the furnace head wall of the electric resistance furnace end, the graphite electrode used here is not continuously consumed. The graphite electrode blank is also used to process a variety of shaped graphite products such as enamel, mold, boat and heating element. 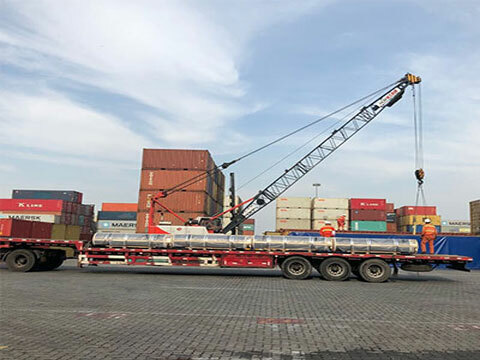 For example, in the quartz glass industry, for every 1 ton of electrofusion tube, 10 t graphite electrode blank is required; for every 1 t of quartz brick, 100 kg graphite electrode blank is consumed. 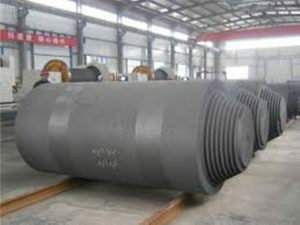 Select the appropriate graphite electrodes grade and diameter according to the capacity of EAF and transformer. Zhengzhou Rongsheng Company has been focusing on the production of graphite electrodes for many years and is committed to producing excellent graphite electrodes. Therefore, RS has a good reputation and has been supported and praised by new and old customers for many years. RS Kiln Refractory has rich experience, advanced technical means and perfect testing equipment. 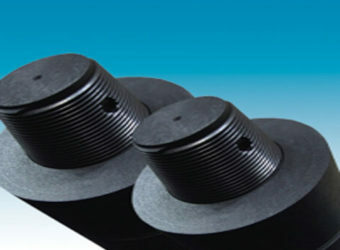 The quality of graphite electrodes can be assured! So if you want to buy high quality graphite electrodes, just feel free Contact us for Getting Graphite Electrodes For Sale Cheap!